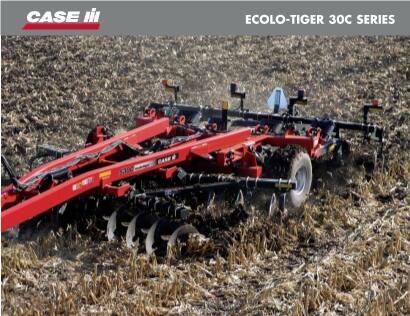 Case IH disk rippers create a first-pass soil surface to prepare for secondary tillage and planting. Our disk rippers are built for durability in tough conditions and flexibility to match your needs so you can maximize each plant’s yield potential year after year. 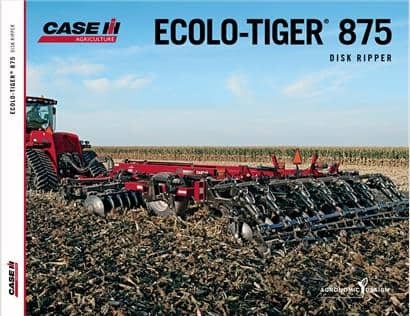 14’ 0” - 21' 8"
Case IH disk rippers give you the flexibility to finish the field to match your farming practices. Create a first-pass soil surface that settles level prior to secondary tillage and planting. Our disk rippers also help maximize each plant’s yield potential, and lead to a more uniform plant stand. The Case IH Crumbler® 160 seedbed finisher can be attached to any Case IH disk ripper for fertilization, secondary tillage, and planting. Use a Case IH disk level’r™ to evenly distribute soil and residue across the soil surface. 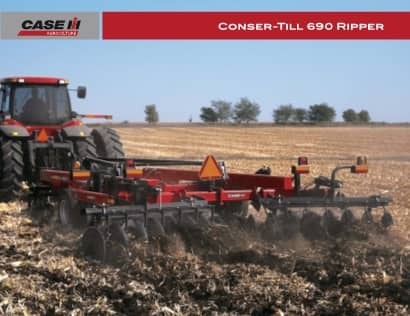 The most aggressive disk ripper on the market with aggressive disk-cutting power, high underframe clearance, and minimum 36-inch spacing between points. Field-tested and proven, improved with more than 23 design updates. Works best with Magnum Series tractors for optimal soil management. Field-tested and proven, improved with more than 23 design updates. Works best with Steiger Series tractors for optimal soil management. Built for durability in tough conditions and flexibility to match your needs. Subscribe to the Case IH blog to discover how the durability and flexibility of a Case IH disk ripper can help you tackle your primary tillage needs.